We had so much fun this past Easter weekend. I did not want the fun to stop. I love being able to watch my kids have fun and enjoy life. We started off with a movie. 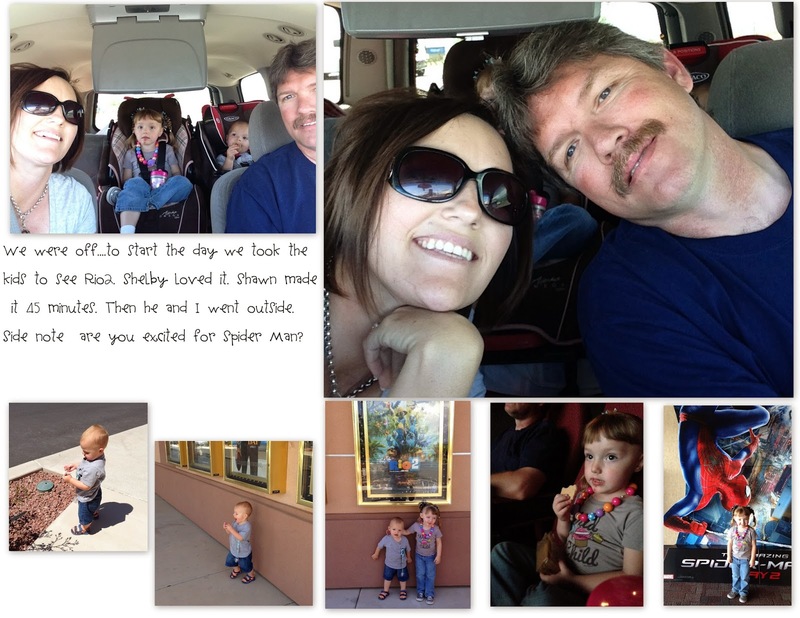 We went to see Rio 2. Shelby loved it. Little Man on the other hand made it 45 minutes and was done. He and I spent some time outside. Then it was off to Zion National Park for dinner. We stopped in Grafton to take pictures of the historic old bridge. I can't wait to do a photo shoot there. Then we went to Zion. While we were waiting for my grandparents, we stopped and dipped our feet to cool off. Then off to shop in the gift shop. We went and played at the cutest little school in Springdale. We had some time to kill before dinner and tried to wear the kids out a bit. Check out the background. Beautiful. Sitting on top of the world.....or the monkey bars. I even hung upside down on them. A little scary since I haven't done that since I was in elementary school. Time for dinner. Zion Pizza and Noodle has the best food. Great atmosphere as well. We sat in the back in the open air and the kids got to play out back. The views in this place are amazing. They take my breath away. We drove home ith the windows down and enjoyed the sunshine. Easter Morning was a smaller version of Christmas. New summer clothes and toys. After ripping into the baskets to see what the easter bunny brought them we were off to grandma's house. It was egg hunting time. I had my gram hide the eggs around her house so they could enjoy it with us. wheelbarrow. She was so excited. Yep Mr Man even got in on the action. He did great following his sister around. Then it was time to count the loot. Shelby and Gram were in charge. 60 eggs was plenty. She even was rewarded with a few bucks. Then it was time to break out the bubble guns. These were so fun. No blowing at all. Batteries needed and included!!! Fun for all. So happy I took his picture....can't you tell? We hope you all had a great time this past weekend.